A Wetu was a round structure made from a framework of saplings that were covered with birchbark. 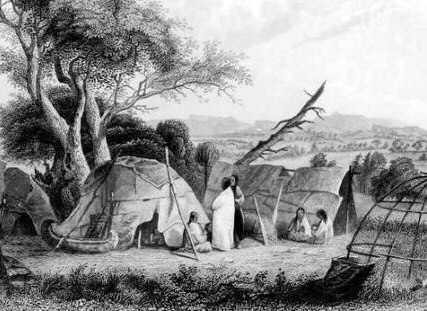 They were used as a shelter or house style that was built by many tribes of the Northeast woodland cultural group but was particularly associated with the Wampanoag tribe. A central fire pit was dug, encircled by stones, that served as the hearth and heated the wetu in cold weather, and was used for cooking in rainy weather. Sleeping platforms, with Beds were made with dried grasses and covered with deerskin. The beds were placed on platforms that were built at least half way around the wetu. The platform was used as seats during the day. The space beneath the sleeping platforms were used for storage. Deerskins or woven mats were used as floor coverings.